Multicultural Counseling Center is the body of independent experts who monitor and counsel people suffering from racial discrimination. all people belong to the same species and have a common genesis. They are born equal in dignity and rights. 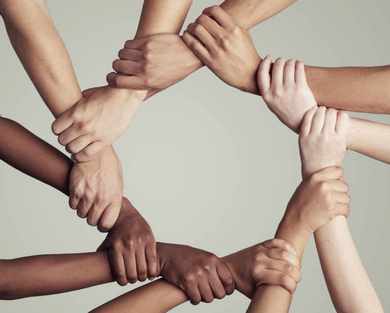 Independently of race, people form an integral part of humanity. all people and groups of people have the right to be different from each other having various distinctive features. However, the diversity of life forms and the right to distinction, under any circumstances, cannot serve as a pretext for racial prejudice. Any affairs can serve neither legally nor de facto as a justification for any discriminatory practices or objectives for the apartheid, which is the most extreme form of racism. the identity of origin in no way affects the ability of people to keep different lifestyles; it also does not exclude the existence of differences based on the diversity of cultures, environment and history, nor the right to preserve cultural identity. all peoples of the world have equal capabilities that enable them to achieve the highest level in the development of the intellectual, technical, social, economic, cultural and political branches. differences in the achievements of various nations are explained solely by geographic, historical, political, economic, social and cultural factors. Multicultural Counseling Center is an educational, scientific, and professional organization whose activity is aimed at increasing the general level of human development throughout life. Members of this center recognize diversity in the society and are committed to a cross-cultural approach, supporting the moral values, dignity, potential and uniqueness of each person. This center offers various programs and webinars by means of which people will be informed about their rights independently of their race. Every person living worldwide has the right to vote, to keep an appropriate lifestyle, to earn money and many other aspects.